"**OPEN HOUSE: Sun 21 Apr 2pm - 4pm**Step into this newly rebuilt PENTHOUSE with VAULTED CEILINGS and you will feel right at home. Soak up the DOWNTOWN and MOUNTAIN VIEWS on your sunny BALCONY with a gas hookup for BBQ. 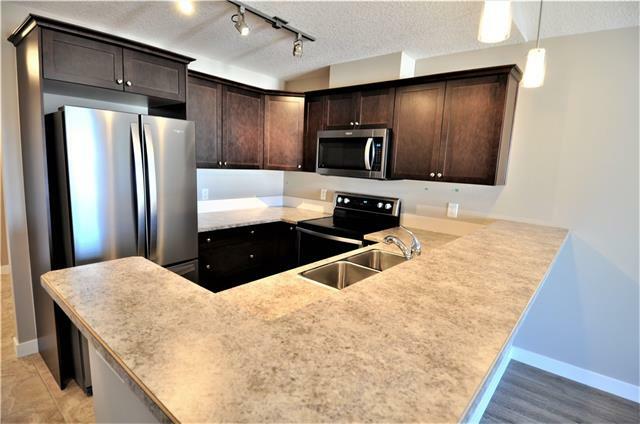 With brand-new STAINLESS-STEEL appliances and plenty of cupboard space, your inner chef will thrive! After a hard day, relax in the SPACIOUS master bedroom with WALK-THROUGH closet. The DEN has space for a desk and bookcase. You are ready for winter with a corner gas FIREPLACE and TITLED, HEATED, UNDERGROUND PARKING (conveniently next to the elevator). Your STORAGE room is right in front of your parking spot. Book the large SOCIAL ROOM, equipped with kitchen for your parties and social gatherings. You can throw away your gym membership as you can now use the extensive, well-equipped FITNESS ROOM! With WALKING and BIKING PATHS right outside your doorstep and minutes away from DOWNTOWN, this condo is all about convenience! Located on the QUIET side of the building, you won't want to miss out!"